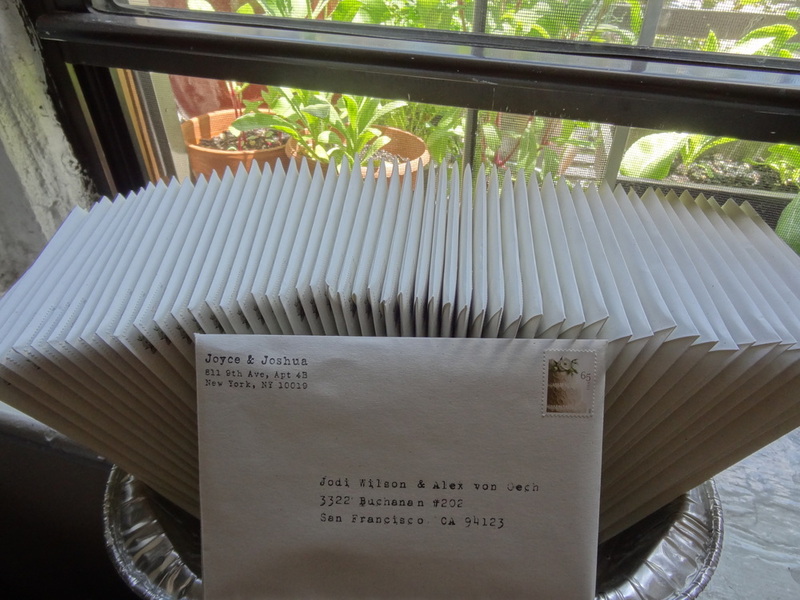 We just brought our wedding invitations to the post office and can't wait for everyone to get them! Our original plan was to do a nice e-card to save ourselves money, paper, and time. "But, that seems so tacky!" Well, Paperless Post does an awesome job with online cards and it seems so fitting in this technological age. Our Save-The-Dates were through them and we were very pleased with them. We asked around for opinions on doing the wedding invitations the same way and we got mixed answers. Some people loved the idea and others wanted to be able to hold the invitations in their hands and have it forever and always. In the end, we decided to do real invitations. 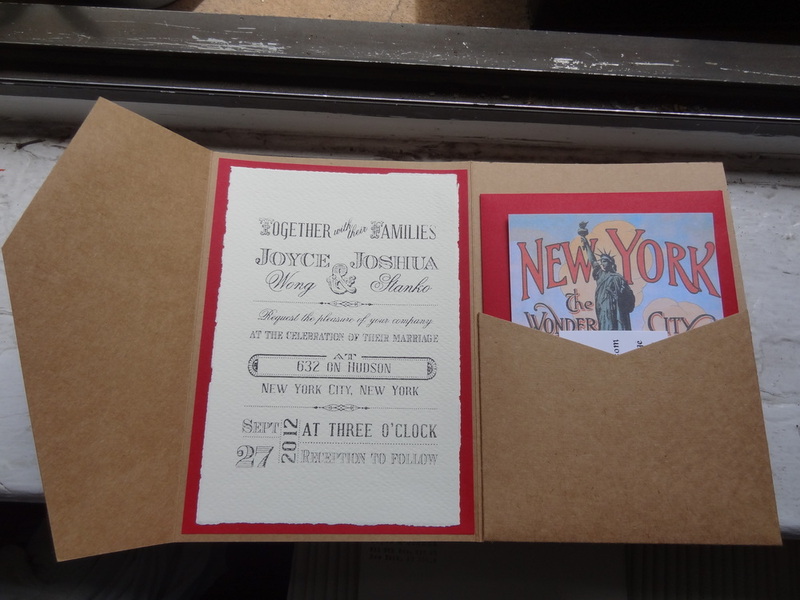 I originally had my heart set on doing some type of handkerchief invitations with a fun map of NYC printed on them, but I had neither the time nor the means to accomplish that. Then, I saw these amazing stamps on Antiquaria. Isn't that just too cool? Josh and I picked out all the paper products together from Paper Presentation in NYC, which has everything paper related possible, ever. Okay maybe not "ever", but they do have a ton of stuff. We had a lot of fun making the invitations and we hope you have fun getting them!! My goodness that's a lot of invitations! !